Complete design and installation to Restaurant in Bluewater Exhibition refurbishment. Designed, installed and certified to BSEN12845 Life Safety regulations. 150 quick response heads installed complete with “Zone Check” Unit. 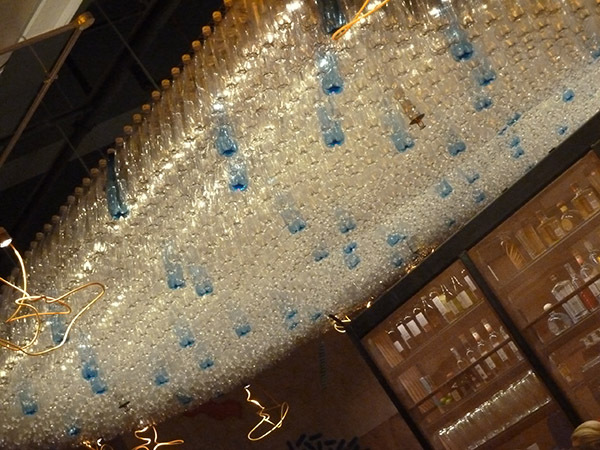 Dry pendant drop cold room installations.Included protection bespoke bottle canopy rafts worked in tandem with architects and clients to achieve the required aesthetics. 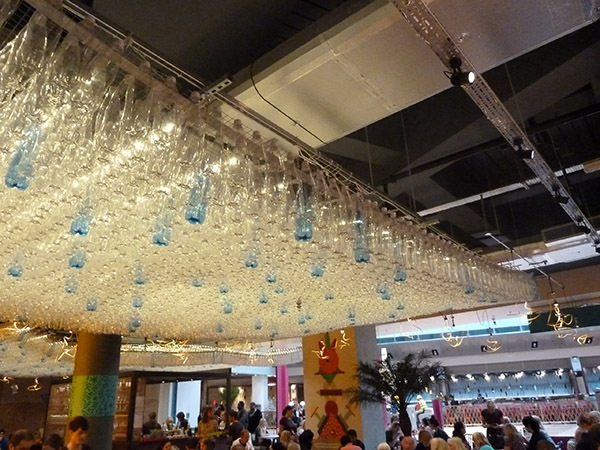 Wahaca is a Mexican food chain diner based in Bluewater Shopping Centre. 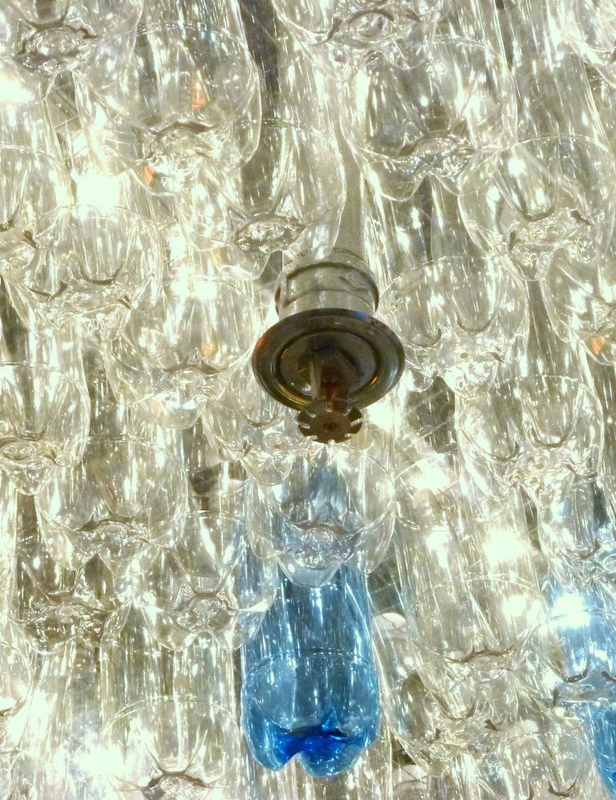 The unit comprises interesting architectural features, including a bespoke canopy made entirely of bottles. J&J developed sprinkler designs that provided full protection to the unit without effecting the innovative architectural design in the front of house area. The installation includes a new zone check unit to allow for easy sprinkler testing and is fitted with 150 quick response sprinkler heads. The system is fully compliant with BS12845. Full design and installation to BS12845. Carefully designed to suit bespoke architectural design. Dry pendent drops in chiller/freezer rooms.